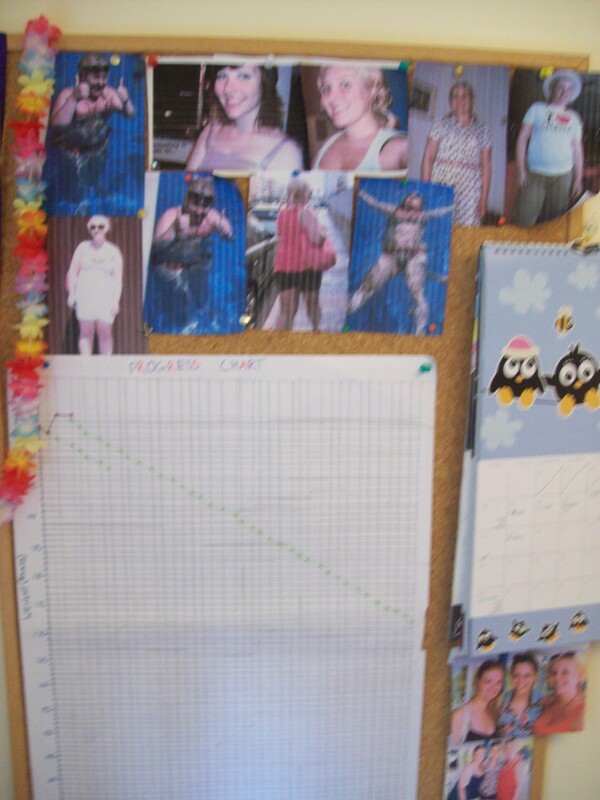 This is the cork board on my wall. I’ve pinned up some pictures of myself, and one picture of my face when I was thin, with a recent picture in the same pose to compare to. This should act as inspiration to get to the gym and to not eat bad foods. 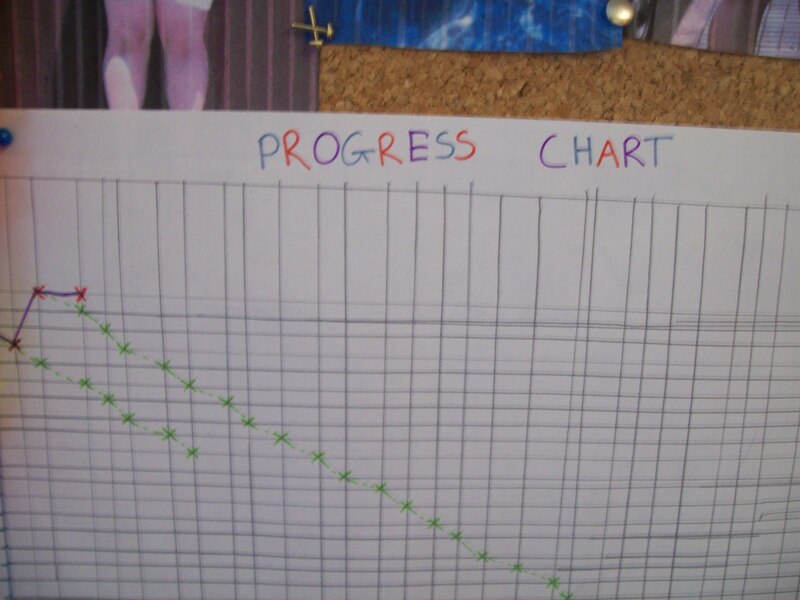 I have also made a progress chart so I can visually track my weight loss against the minimum I should be losing – one pound a week. I was considering putting mums data on there too, but we aren’t anywhere near each other on the weight scale, and she would drop off the end of my chart!